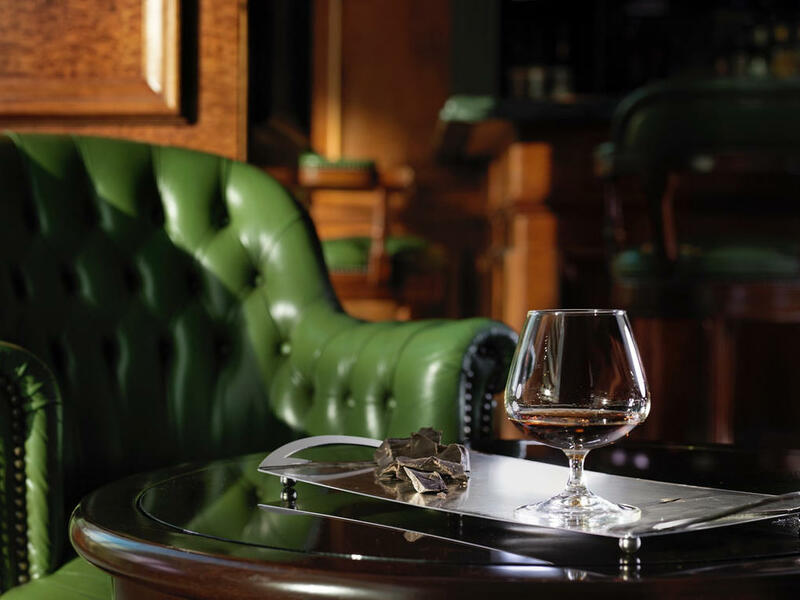 Located on the mezzanine floor, the Explorer's Bar at the NJV Athens Plaza offers a British style club ambiance. 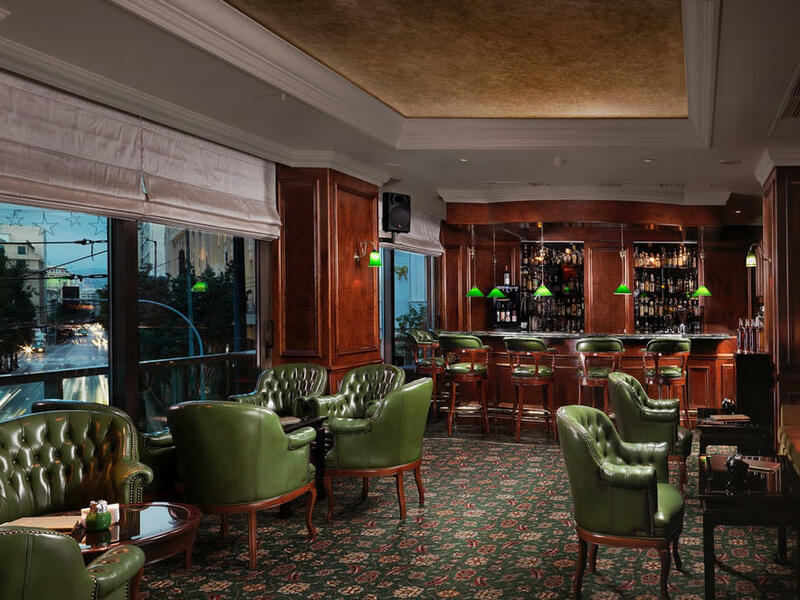 Featuring wooden wall panels, green leather armchairs and couches, classic crystal sconces and hand-made carpets, offers guests a relaxing place to socialize. The soft lighting, spacious area and excellent service, give this venue an aura of sophistication and elegance. 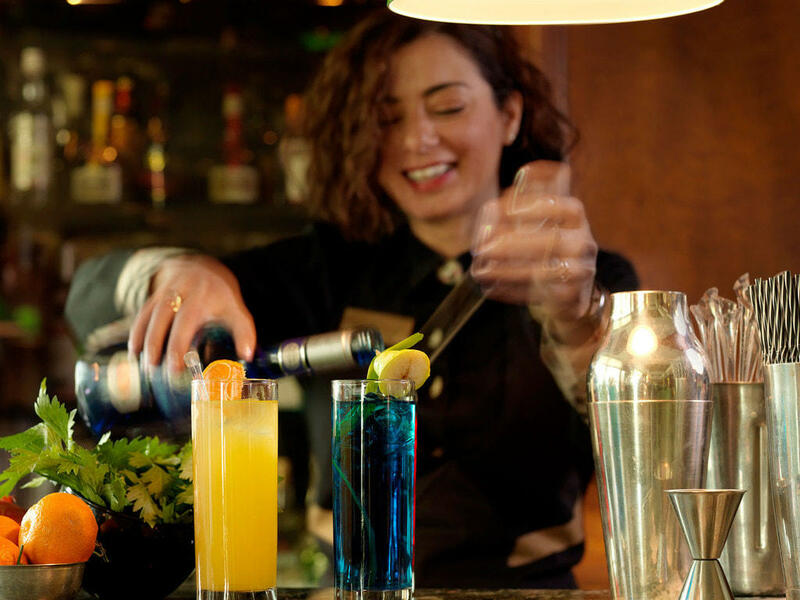 As an ideal venue choice for a social function, corporate event, private party or a small wedding reception, the Explorer's Bar is among the best bars in Athens. Guests can also enjoy exclusive cocktails, fine wines, chilled champagne and tasty snacks while live music nights are held occasionally during winter season (October - March) on Fridays & Saturdays.